Episode 1 - MSYiY podcast series Diary Of A Social Entrepreneur kicks off on Father's Day. Happy Father's Day Dad - Rest In Peace. Also dedicated to all the good fathers out there. This episode commemorates the contribution made by Yasmin Choudhury's late father Al-Haj Abdul Muquith Choudhury. A British immigrant from Bangladesh who arrived from a remote village into London with little money in the 1950s - who late became a successful and wealthy yet humble restaurateur and property developer. 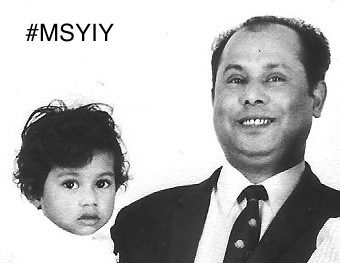 MsYiY is a brand new podcast from the founder of Lovedesh and Amcariza Foundation - where Yasmin talks about the nightmare international crisis she is handling out in Bangladesh. And how women have the guaranteed right to inherit their late father's wealth - as Islam dictates. Yet this is something the men and her elders in her pious Muslim family wish to overlook. The nightmare is being caused by Yasmin's own family and the rife honour abuse that exists towards women like her. She dares to work alone in Bangladesh. As well as questions why her family have forgotten and neglected the dreams and legacies of her beloved late father which she is intent on resurrecting. To watch Yasmin Choudhury's latest video visit her YouTube Channel here. #MSYIY Podcast by Yasmin Choudhury, a British Muslim woman talking about surviving business and trauma. Of her ordinary live under extraordinary circumstances, her ethical luxury business start up and her personal life. And of being diagnosed with Complex PTSD, after having experienced repeated stress and trauma and how running a start up has brought its own mix of highs and lows. Copyright MsYiY 2015. All rights reserved.